Introduced to Canada in January 2009, It Works! started in 2001 by Mark & Cindy Pentecost. IT WORKS! 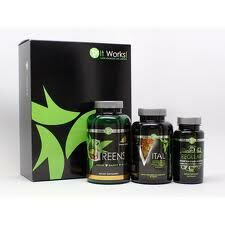 Global is a direct sales company that markets beauty, wellness, and weight loss products. It Works! Global sells their products through their thousands of independent, direct-selling distributors in the United Kingdom, Ireland, Netherlands, Sweden, Belgium, France, USA, Canada, Australia.Today, the company is nationally acclaimed as one of the fastest growing companies in the U.S.
Their products are for Ultimate Makeover, Body Contouring, FITworks, Skin Care and Supplements. One of their products is The Ultimate Applicator Wrap. It is a special, non woven lotion cloth which is easily applied to the skin and allows you to spot target pure fat, shrink fat cells, drop inches from your waist, heal cellulite and smooth and tone fine wrinkles. AND if that is not enough, it does all of this in just 45 minutes! It Works! Global offer their distributors a rewarding opportunity. You will get bonuses, rewards and recognitions according to their compensation structure. With It Works! you can achieve optimum earnings potential, reach financial goals and fulfill your dreams. Interested in becoming a part of their team? Contact you local It Works! distributor now!